We’ve recently returned from a visit to the Transylvania area in Romania. 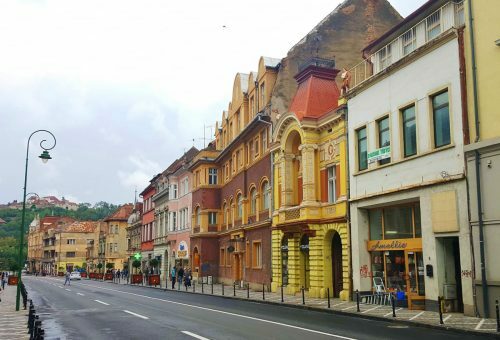 This post was written before our visit – as a way to set out a list of potential things for us to do when visiting the historic city of Brasov. Now that we’re back, I’m going to share the list with you and also add my own impression of the city. In case you’re in a rush, I’m going to quickly share the list itself first. Next, I’ll offer some general important information about visiting Brasov and then we’ll get back to the list – with more details on each of the attractions, including opening times, location etc. Brasov is a medium-sized city in central Romania, with a population of about 250,000. This historic city is famous for its historic role as the capital of the Transylvanian Saxons. Without going into too long of a history lesson, the German Saxons conquered the area in the 12th century and basically kept a hold of the area for hundreds of years. They were fierce rulers who kept getting reinforcements from Germany for centuries to come. In fact, there are over 10,000 people in Brasov today who can identify themselves as descendants of the Transylvanian Saxons! How cool is that? Anyway, today Brasov is the lively capital of the Brasov county. 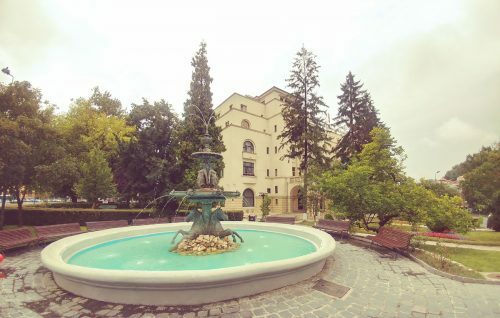 It’s a gorgeous historic city, nestled between the Carpathian mountains, with a great vibe. Definitely worth visiting if you’re in Romania. 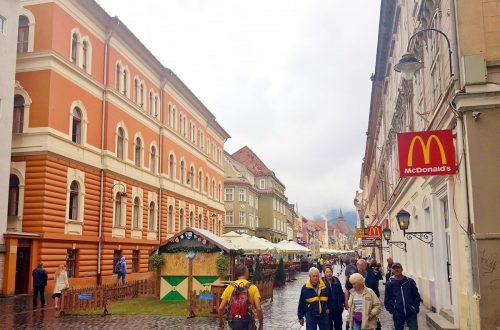 The list of things to do is coming up, but it’s worth mentioning at this point that the most fun we’ve had in Brasov was just wandering the streets and admiring the mix of historical buildings dating back to the Middle Ages and modern time Romania. Is Brasov related to Dracula? 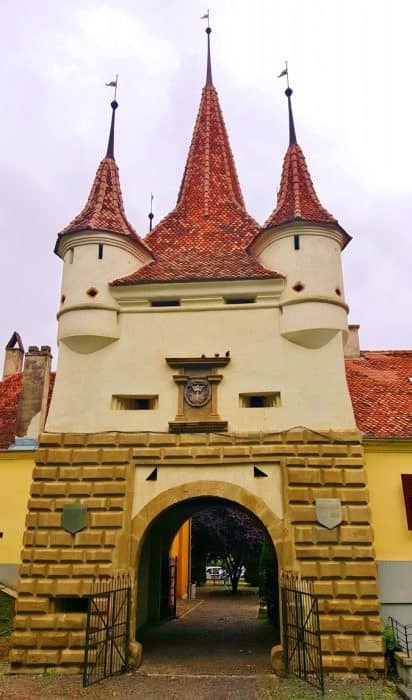 Just about anywhere in Transylvania can be somehow connected to Prince Vlad Țepeș, aka Vlad the Impaler, the Romanian who is said to have inspired Bram Stoker’s character of Dracula. We’ve spent six days in Transylvania, and trust me, you can find Vlad just about anywhere – not only in Bran Castle (the alleged castle which Stoker described in his book). Prince Vlad – the real historic character – was in constant conflict with the Saxon princes who ruled Brasov. They were his superiors and collected taxes from him – which he didn’t appreciate very much. You can find Brasov mentioned 22 times in the Wikipedia entry about Vlad the Impaler. Check it out if you really want to get the full picture of the politics of the day. For now, let’s get to the practical aspects of visiting Brasov. If you’re flying into Bucharest – you can get to Brasov by driving for three hours or by taking one of several bus lines that will get you there. Driving isn’t very difficult – that was our choice – but do be careful. Romanian drivers seem to always be in a rush and will take you over in the most unlikely turns of the road. What’s the weather like in Brasov? Brasov enjoys excellent mountain weather. Summers are pleasant with temperatures in the 70’s (22-24 in Celsius). It does snow in winter but even then, it’s not super cold, with temperatures rarely getting under 20F or -4C. La Ceaun – in Piata Sfatului 11-12, and another location at #23 Michael Weiss st.
Romania is a fantastic destination for budget travelers. The prices for hotels and vacation rentals are fairly low so even a budget of $50 a night (for two people) can go a long way. I ran a search over at booking for a sample night in early October. These results all had a top review score of over 9 (out of 10) with a price of $50 or less for two people. That’s right, or less. Some were as low as $30 a night. Again, all of them got the highest possible scores from people who have actually stayed there. And finally, let’s get back to the list of attractions this city offers visitors! Now that we have the basics in place, let’s get back to the top 10 list! This is something you should not miss in Brasov. Parc Aventura is an outdoor adventure park by a lake that offers zip-line courses and forest-lined ropes for all levels. Brasov is an adventure of its own but if you’re looking for a little more intense activities, Parc Aventura is the place. The park is swarmed with special routes designed for all ages, making it extremely memorable for the whole family. If you come to conquer the most daring course, the single Black route has everything to challenge you being the MOST difficult course in the park. For the experienced enough, there are 2 red routes to endure. There are also 2 Blue routes for those average adventurist-at-heart looking for medium difficulty. If you are a beginner, you can choose from any of the 3 Green routes. Young adults down to 8 years old can have fun at any of the 3 yellow routes. Lastly, children 8y/o and below can indulge in their own 4 purple routes. 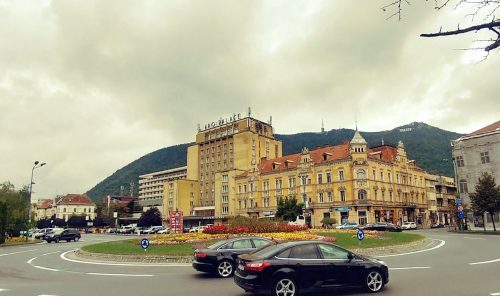 No Brasov trip is complete without visiting the Council Square – which is basically the most popular landmark in the city and is located right in the historical center. Even the houses surrounding the square are historic. During the 14th century, the Council Square was a marketplace, bustling with traders and merchants flocking from all around the globe. Basically being the center of trade and industry, the Council Square has since then become one of the most prominent spots in town. Interesting fact: the place is so popular during the day that it’s even used as the spot for public punishments. There was a time when witchcraft was a huge problem and a lot of women got punished for being accused of such in this very place. If you want to see the entire Brasov with all its glory, the best view can be seen from the top of Mount Tampa. Standing tall at a staggering 955 meters above mean sea level, this famous Romanian mountain overlooks the whole town of Brasov including all historical buildings and structures from the previous centuries slowly fading into the green landscapes of nature. You have two (2) options in going to the top – hiking trails or via cable cars. While it may cost you some energy, taking a hike to the top introduces you to the abundant flora and fauna of the city. The cable car system is also an attraction in itself. Riding one offers you a unique perspective and a surreal view of the city’s skyline as you slowly go to the top. 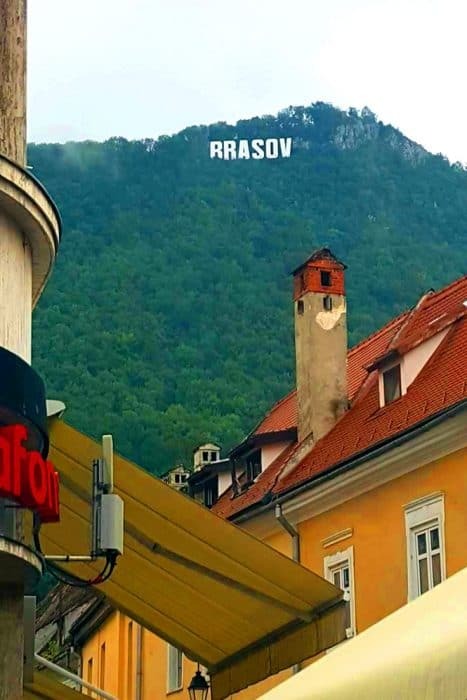 Further, Brasov has their own version of Hollywood sign at the top of the mountain, giving you more reasons to take pictures. If you’re looking for a quiet place within the city, Lake Noua is the ideal spot for peace and relaxation. The place is perfect for a lovely stroll as you gain more positive energy from the surrounding nature. If you’re traveling with family, the plains around the lake can serve as ideal spots for picnics. The sight of the lake itself is beautiful. 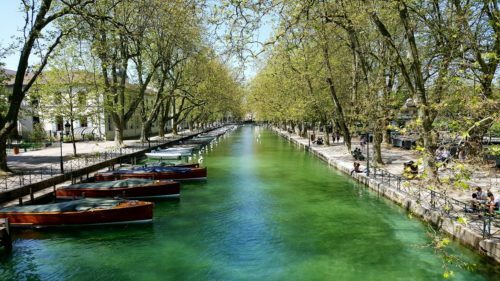 You can also rent a boat and take on a romantic lake ride and enjoy the sight of both of your partner and the shining lake below. You might want to bring your own food when visiting Lake Noua; some tourists warn not to eat in the restaurants in the vicinity of the lake due to price reasons. Further, you are not allowed to bring your own floating vessels (like kayaks) into the lake. Small-scale boat renting businesses seem to dominate the commercial opportunities of Lake Noua. Despite that, Lake Noua is beautiful as is and any tourist must not miss this place when visiting Brasov. You were wrong when you think there’s no fun water attraction in Brasov. Paradisul Acvatic is an inland pool resort; a man-made oasis right in the city. Also known as Aquatic Paradise (when translated), Paradisul Acvativ offers a playful waterpark retreat where the entire family can spend the whole afternoon. Kids and the young at heart can enjoy long and curving slides while adults can take a cool splash on multiple indoor and outdoor pools. Further, the place has sunbathing areas where you can chill and relax. A restaurant is also available where you can buy food and drinks. This leisure center also has a gym and sauna. If you don’t want to travel after a full day of swimming and dipping, the place is right next to a hotel where you can check in for the night. It may look like a mere gate but Yekaterina’s Gate reflects a history that dates back to the 16th century. Also known as Poarta Ecaterinei, Yekaterina’s Gate is a stone-built gate featuring the Coat of Arms and a museum at the entrance. During the 15th century, Saxon settlers (present-day Germany) started building a series of gates at several points in the city walls. This is to fortify Brasov and to protect the said city against the Tatars and Turks attacking their way in. Today, Yekaterina’s Gate is the only remaining survivor of these historical gates. 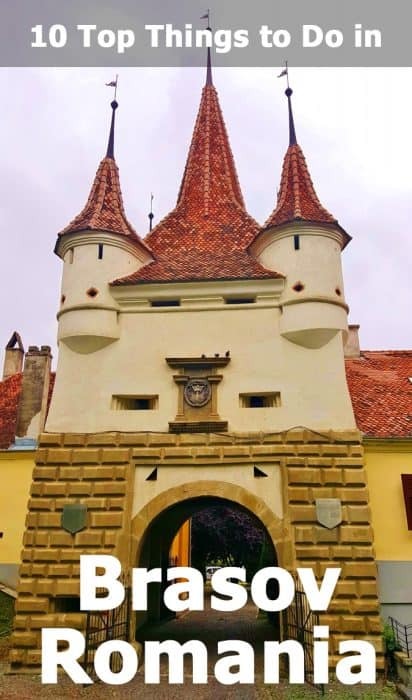 Katalin Gate (another name) and its fairy-tale-like spiky towers give access to the Council Square and the Black Church – both of which are also featured in this list of best places or top things to do in Brasov. The Black Church is one of the most impressive religious edifices in Romania. For starters, this is the largest Lutheran church in the region and is now over 600 years old. 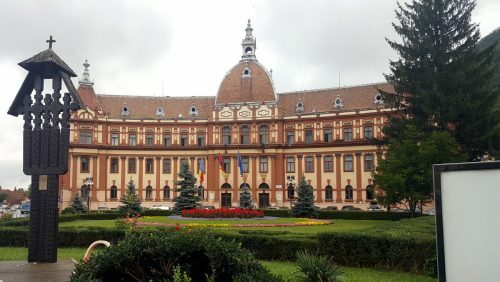 Just seeing it on the outside is magnificent enough, and its significance in Romanian history earned it a spot in this list. The Black Church is pretty much an eye-catcher and can easily dominate the skyline of Brasov. Getting inside, you’ll be greeted by jaw-dropping high ceilings, stained glass windows, Turkish carpets, stone columns, and the medieval feel. You’ll have the chance to admire the gigantic 4000-pipe organ and see the largest church bell in all of Romania. While the Black Church is admired by everyone, there are people who somehow criticize the church’s commercial and monetizing efforts. For instance, there are some tourists who are disappointed with the entrance fees, considering you won’t be allowed to take pictures while inside. Nevertheless, you can still get some pretty awesome shots from the exterior part. Considered as the backbone of Romanian culture and education, St. Nicholas Church (or St. Nicolae) is the first ever Orthodox church built in Transylvania region. It was first established, in Gothic style architecture, in the late 13th century and was rebuilt, this time in Baroque style architecture, in the 15th century. St Nicholas Church, along with its adjacent school which is now a museum, has significant influence in all territories occupied by the Romanians. It’s the ideal place to feel the Romanian air and a great spot for your Instagram posts. We don’t have castles on the list but the closest thing you can get is the Citadel of The Guard. This place is strategically located on a hill with an overlooking view that’s elevated enough to see the entire city below along with the plains in the north. So if you can’t make it on Mount Tampa, then you better visit Citadel of The Guard. 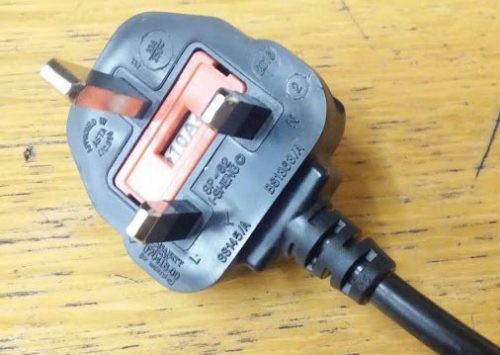 It’s like hitting two birds with one stone. First, you get a nice view and also have the chance to take pictures of this beautiful stone architecture. It was originally made of wood in 1524 as part of Brasov’s fortification system. It was a century later when the citadel was renovated into a stone structure. Today it serves as a complex of restaurants, but you can’t visit the insides yet – reports claim that private and public entities are fighting for the rights to the property. Until then, you can only enjoy the climb up – which is worth it – and enjoy the surrounding landscapes and immortalize the moment with pictures. You can also ride a cab but it can only take you as far as the barrier; from that point, you still have to climb a few hundred meters up. Overall, Citadel of The Guard possesses a beautiful architecture that one shouldn’t miss when visiting Brasov. Both the place and the view is beautiful – that’s all you need to know. Opening Hours: You can visit anytime, preferably daytime. And of course, you should incorporate castles into your visit to Transylvania! Bran Castle and Peles Castle should not be missed. And the nearby Rasnov Castle is also well worth a visit. Now, this is probably the most unique attraction we have on the list. 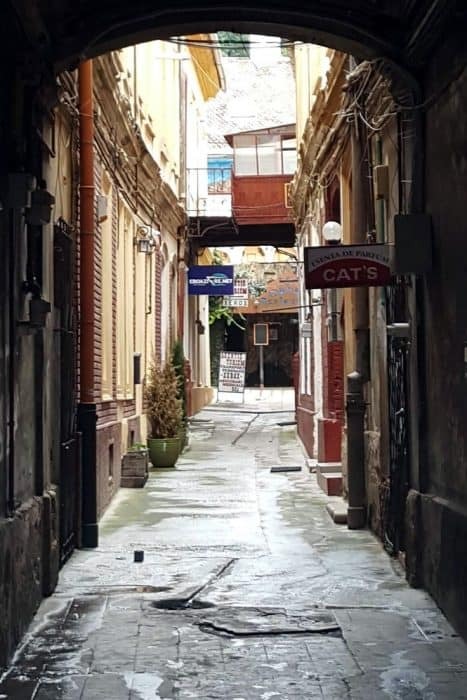 The Rope Street, also known as Strada Sforii, is one of the narrowest European streets existing today and the narrowest in the city of Brasov. It’s less than half a kilometer walk away from the Black Church so there’s no reason not to visit either one. It’s only 111 centimeters (about 3.6 feet) at its narrowest; the street is so thin that it’s virtually impossible for two people to walk comfortably side by side. And no one can stretch their arms fully while in the alley. If you’re not a fan of graffiti and scribblings which swarm along the walls, the best way to take a picture is to make Mount Tampa your background. 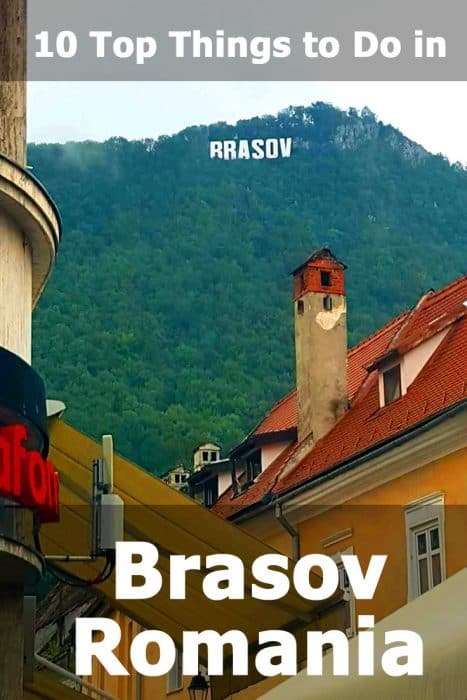 You can even easily make an angle where the Hollywood-inspired Brasov sign is your background. Further, the place can get packed with tourists so it’s ideal to visit the Rope Street early in the morning. Important note: The street is currently closed for renovations, as we found out during our visit. So, it stays on the list but you should check before you arrive. 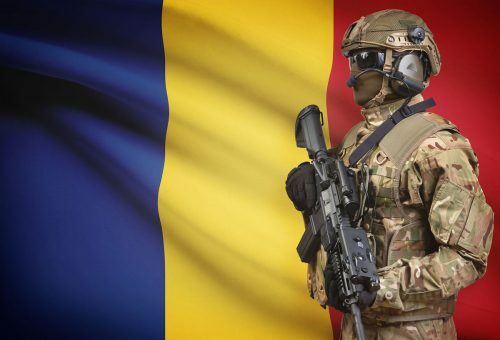 Is It Safe to Travel to Romania?